When you want luxury and you need sleeping space for five to six family members or overnight guests, look at this Precept to fill your wants and needs. 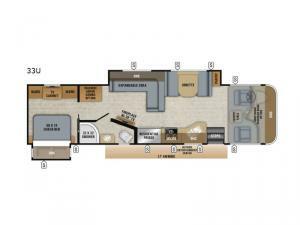 Everyone will enjoy the combined kitchen and living area with the slide out L-shaped expandable sofa and Jayco-exclusive legless dinette, plus a pantry. Just imagine watching TV and keeping warm by the fireplace while relaxing or playing games. The awning, and the outside entertainment center with an LED TV mounted on a swivel bracket and a single-disc DVD/FM radio offer an additional living area for everyone to gather while enjoying the great outdoors. You will find full kitchen and bath amenities, plus a queen bed in the rear bedroom. 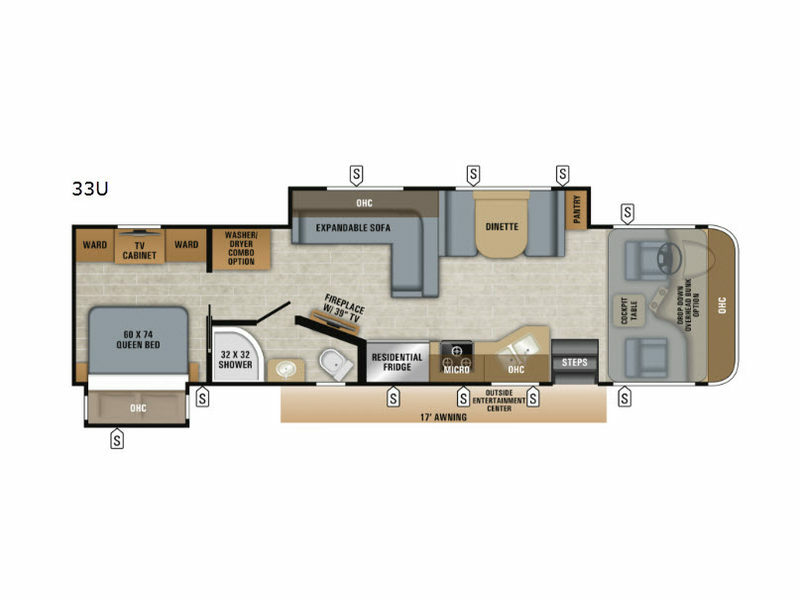 You might even choose an optional drop-down cab overhead bunk. Take a look, you will be glad you did.